State police officers, or state troopers, are law enforcement officials whose jurisdiction includes the entire state they work in. This differs from typical police officers in that such a law enforcement official’s jurisdiction ends after they cross their city or township boundary lines. State troopers, essentially, have no boundaries within the state. In fact, the state police officer position was originally created as a way to prevent criminals from fleeing city limits. Possessing a valid driver’s license. Being free of felony convictions, domestic violence or public corruption charges. Being a high school graduate or having completed a GED program. If you meet all of these standards, then applying to the state police is the next step. In doing so, you’ll likely need to provide copies of your birth certificate, diploma, military documents, transcripts and recommendations. Application requirements vary on a state-by-state basis. 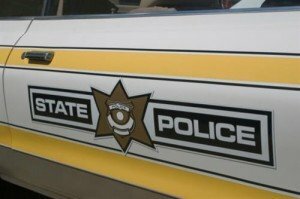 Just because your application has been accepted doesn’t mean that you’re on the fast track to becoming a state trooper. Not everybody is fit for such a job. That’s why the next step, after the application process, is taking written and physical tests. Written tests will check your basic math and writing skills. Some customized written tests may also be administered to gauge your attributes. Then, there’s the physical tests, which test for stamina, strength and fitness. This is often accomplished through push-ups, sit-ups and running. While both written and physical tests vary on a state-by-state basis, some states may also make you take a handgun test. After you’ve passed the testing portion, then there’s a slew of other formalities that are administered. First, there’s a background check, which look at things like your criminal and employment history. A polygraph test is then administered to verify much of the information you provided in the application you submitted. And just when you think you’re out of the woods, there’s the interview that you must go through with a senior officer. The interview is commonly the last step in the process before you’re hired, but it should be taken very seriously. If the senior officer isn’t impressed with your interview, he or she has the right to turn you away, effectively ending your goal of becoming a state police officer. Every state trooper program varies by state and can last from a few weeks to several months. The curriculum is often loaded with information on state and federal laws, as well as duties and responsibilities. After completing that program, you’re ready to begin your career as a state police officer.